Jackson Gillette is the founder & CEO of Autarchic Investment Management. He cultivated the idea of Autarchic as a financial advisor at Raymond James, where he was honored multiple times in the firm’s “rising star” program. 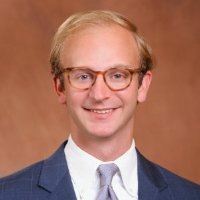 Mr. Gillette is a graduate of The University of Alabama’s Culverhouse College of Business with a concentration in finance. He is an avid golfer, hunter and tennis player. In his civic endeavors, Jackson is a member & director of The Kiwanis Club of Houston. He and his wife, Sara Blair, are active members of St. Martin’s Episcopal Church and are volunteers of the Breeder Greeters Committee of the Houston Livestock Show & Rodeo.